In order to ship your products through the software, you need to setup your company's Shipping Carrier Accounts by obtaining shipping rates from the 3 major carriers: FedEx, UPS and USPS. To access the Shipping Carrier Account settings, click on the Gear icon in the upper right corner of the screen. Under the General section, click on Profile Lists. On the Profile Lists, under Shipping section, click on Shipping Carrier Account. Assign a Name for your new Shipping Carrier. Select if this Shipper will be the Default method of shipments, if this Shipper is Active and if the Shipping Carrier Account Address is Residential by default. Select your Carrier (FedEx, UPS or USPS) from the drop-down menu. 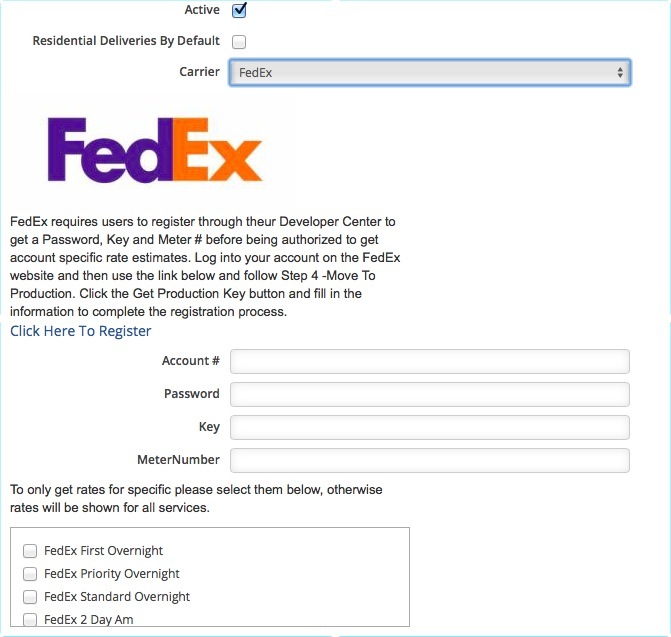 Getting Shipping Carrier Login Credentials: Each of the carriers will have unique instructions for getting an account setup for OrderTime to be able to pull rates. Select the carrier from the drop down to view the associated instructions. FedEx Setup: Start your registration by clicking the Click Here To Register link. Complete registration process and take note of your login credentials: Account Number, Password, Key and Meter Number. 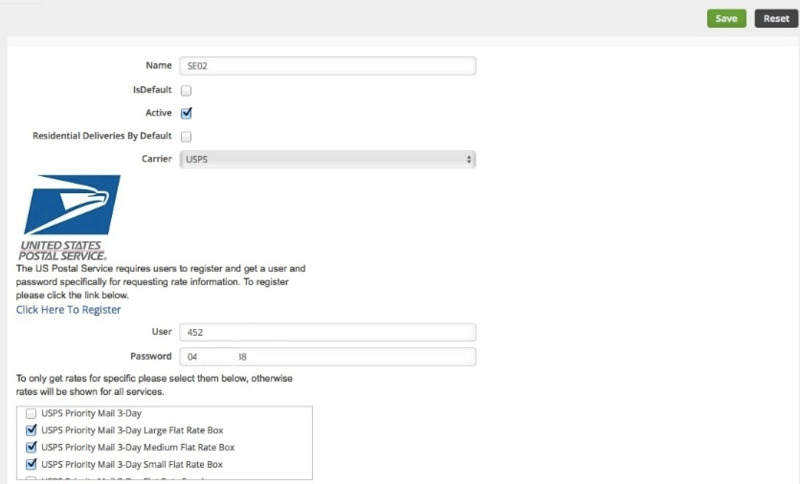 UPS Setup: Click the Click Here To Register link. Follow registration process and once completed, take note of your login credentials: Account Number, AccessKey, User Name and Password. 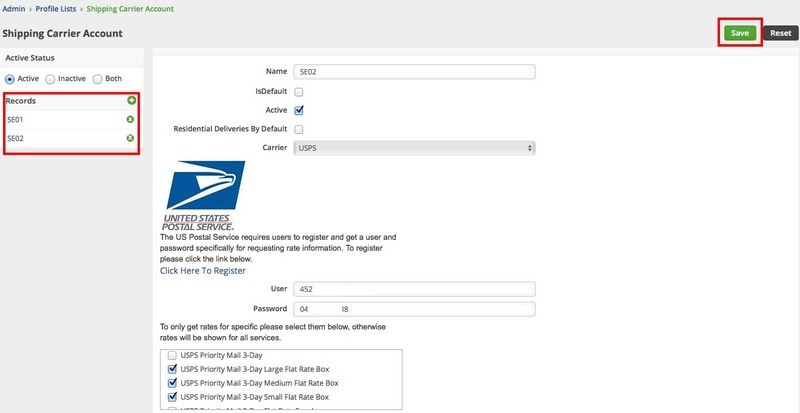 USPS Setup: Start your registration by clicking the Click Here To Register link. Follow the registration process and once completed, take note of your login credentials: User Name and Password. FedEx needs your Account Number, Password, Key and Meter Number. 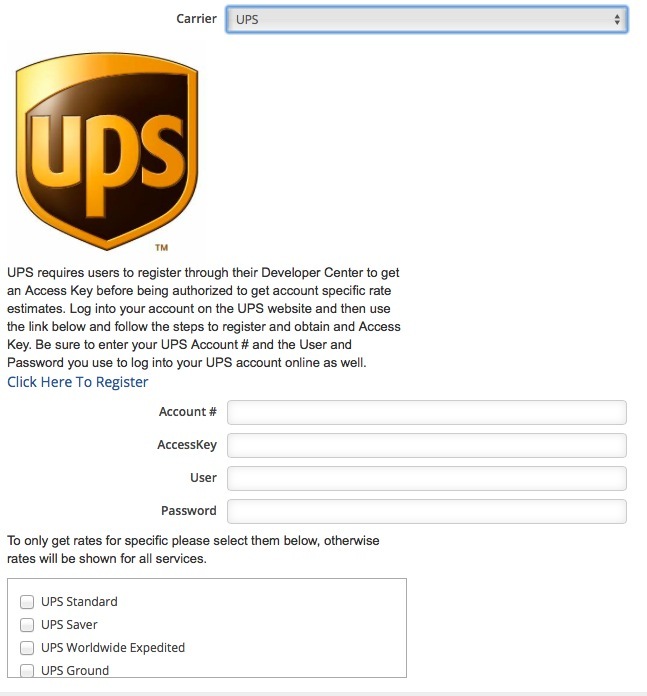 UPS needs your Account Number, AccessKey, User Name and Password. USPS needs your User Name and Password. Select the only the services that you think are necessary for your business, otherwise rates will be shown for all services. 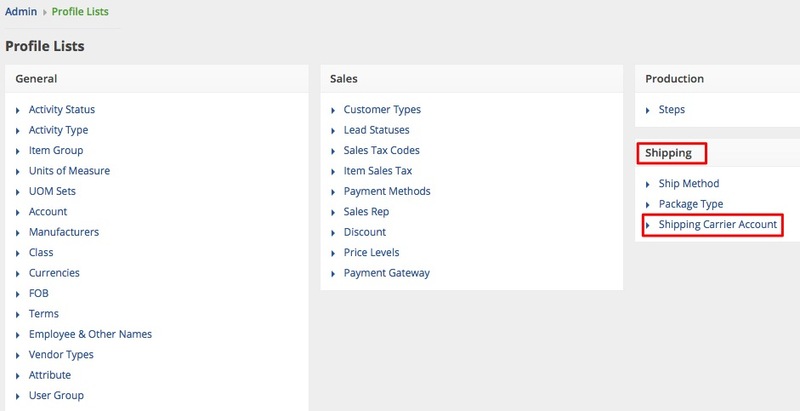 The Shipping Carrier Accounts are displayed on the left side of the interface under Records.